We have over 25 years experience of replacing boiler in Preston. We cover Preston, Leyland, Blackpool, Lytham and surrounding areas. Please contact us if you want a competitive estimate for a replacement boiler. We are one of the leading Preston boiler replacement specialists providing impartial, honest advice and personal ,top quality yet affordable service. To comply with new building regulations, all heated housing (when upgrading the heating system), must have an energy efficient condensing boiler fitted. These work by reusing waste gas that is ejected through the flue system. This is then passed through a second heat exchange, where it extracts additional heat. It is also recommended to have boiler replacement if your old boiler is over 10 years old and does not have condensing technology. This has been proven to reduce heat loss by 30%, and save you money on your gas bills. 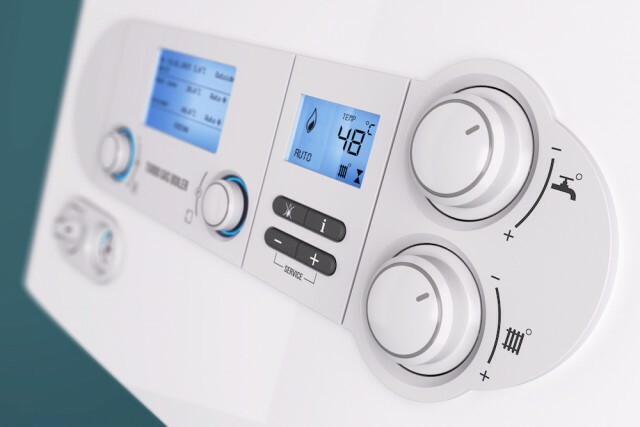 All new combi boilers and conventional boilers feature condensing technology, but a combi boiler is often recommended to save further on heating costs, as it has combined heating storage. It is possible that this may not be the right choice for you. We will give you honest, expert advice that you would never get from a salesman sent by the large ‘leading’ suppliers. We would be happy to visit you, provide fast, friendly advice and a free, no obligation quote. It is very important to service your boiler once a year. This ensures it is safe and, for a new boiler, ensures that the conditions of the guarantee are met. It you do not have you boiler regularly serviced it is unlikely you will be able to claim for any repairs under warranty. If you have a boiler installed by ourselves you will qualify for a 5% discount off our normal labour charge of the annual service.